The first step toward building the home of your dreams is finding the right modular home builder for the job. It might seem that all modular home builders provide the same array of construction services, but there are a few crucial qualities that set the best modular home builders apart. You’re already investing in a home — make sure you’re investing in the right people to build it for you. In the world of modular homes, and important distinction exists between modular home manufacturers versus modular home builders. Manufacturers, as the name suggests, supply the modular home components. Modular home builders actually assemble these components into a modular home. If a modular home builder is supplied a low-quality product, they’re going to build a low-quality home. Instead, you want to make sure you look for modular home builders who have an exclusive relationship with certain high-quality brands, such as Redman Homes. When you work with an exclusive dealer, it’s like going to a Lexus dealership to buy a Lexus. The dealership knows the ins and outs of the car, has an ample supply, knows about customization, and can offer unrivaled warranty options and pricing. Do yourself a favor and work with an official modular home dealer — this way, you can be sure the product and the build are both excellent. You want to work with a modular home builder that has a gallery of homes on display and featured floor plans. This way, you can make an educated decision as you choose the home builder. Does the aesthetic fit what you had in mind? Do they offer floor plans with an option for a basement? Do they have square footage options that work for your family? 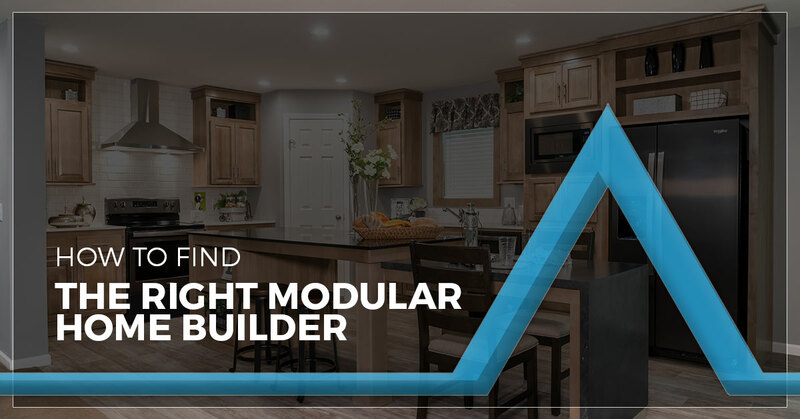 In addition to providing helpful information, display pages and product galleries also show that the modular home builder takes pride in its work. When a company takes pride in its work, it’s also more likely to offer better customer service. With modular homes, you want a company that has a wide service area. Check for companies that operate in one region, like Southern Illinois. This tends to mean that the builder has a bigger, more productive factory. You also want to work with a builder that knows your area well. A modular home builder in Southern Illinois will understand the distinct climate and environmental factors that might affect your home. As such, they can build preemptively with these factors in mind. Cannon Homes Inc. is the Top Rated Local® modular home builder in Marion and all of Southern Illinois. As an exclusive builder of Redman Homes, we offer excellent warranties, pricing, and knowledge for this highly popular type of modular home. Check out our floor plan options and sample modular homes today to get a sense of what we can build for you! If you’re interested in building a modular home in Marion, don’t hesitate to call Cannon Homes Inc. today!